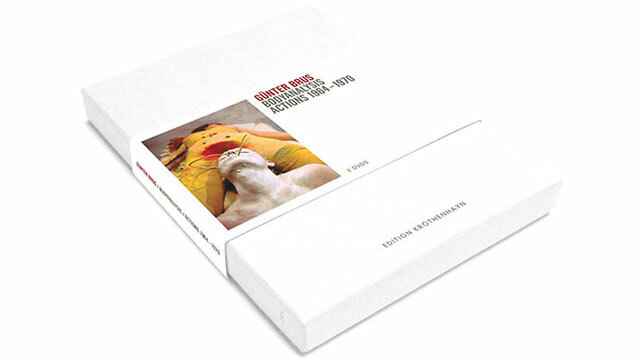 A core member of the artist collective around Hermann Nitsch, Otto Mühl and Rudolf Schwarzkogler, instigators of ‚Viennese Actionism’, it was during the early 1960s that Günter Brus staged his first actions in Vienna. Due to the radical nature of his works, Brus soon found himself at odds with the Austrian authorities. Sentenced to six months of close arrest, in 1970Brus absconded to Berlin. During the subsequent years, his works were shown by a range of internationally renowned museums and galleries – nowadays, Brus ranks among Austria’s most eminent contemporary artists.